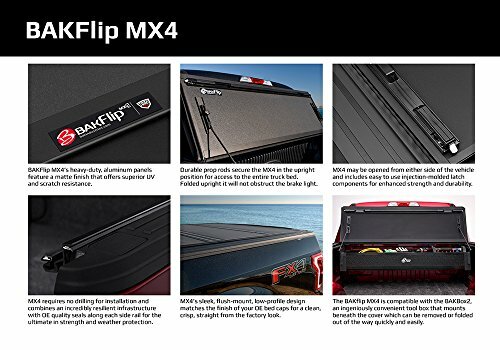 The all-new BAKFlip MX4, features heavy-duty aluminum panels coated with a premium matte finish for superior UV and scratch resistance. 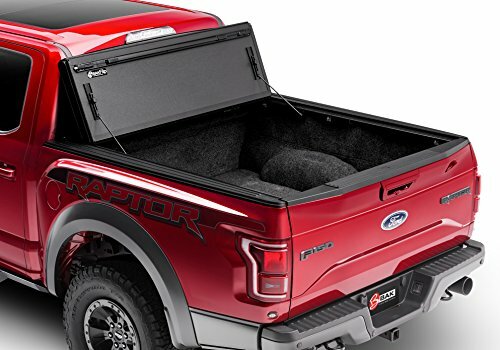 The MX4 is similar to many BAK truck bed covers but comes equipped with upgraded latch housing components and an all-new integrated tailgate seal that allows the cover to be closed with the tailgate in the closed or open position. 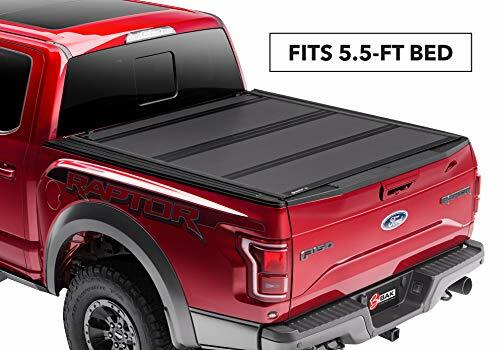 This heavy-duty, all-season truck bed cover is designed to perform in the most extreme conditions. The MX4’s resilient infrastructure is designed for everyday use featuring a solid, robust design that is flush-mount for that sleek, low-profile look and feel. The MX4 is backed by an extended 3-year warranty and is proudly made in the USA. 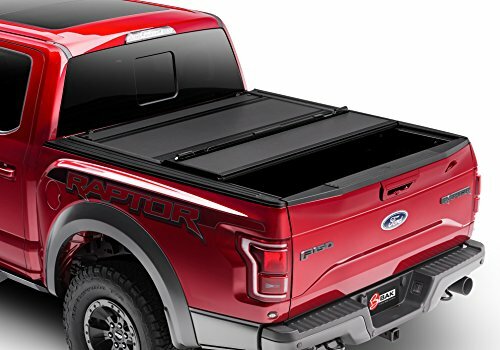 Purchase BAKFlip MX4 Hard Folding Truck Bed Tonneau Cover | 448329 | fits 2015-19 Ford F150 5′ 6″ bed at Discounted Prices ✓ FREE DELIVERY possible on eligible purchases. The all-new BAKFlip MX4, features heavy-duty aluminum panels coated with a premium matte finish for superior UV and scratch resistance. 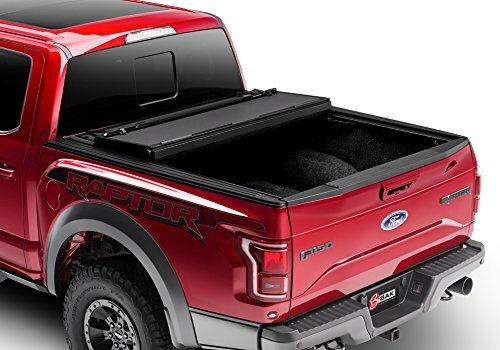 The MX4 is similar to many BAK truck bed covers but comes equipped with upgraded latch housing components and an all-new integrated tailgate seal that allows the cover to be closed with the tailgate in the closed or open position. 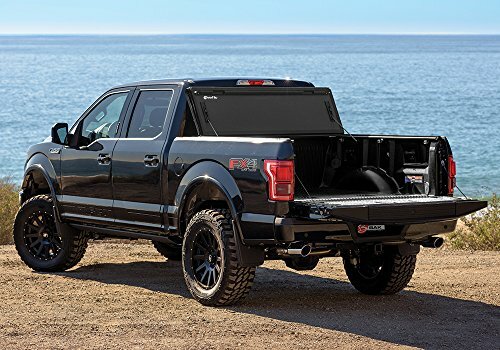 This heavy-duty, all-season truck bed cover is designed to perform in the most extreme conditions. The MX4's resilient infrastructure is designed for everyday use featuring a solid, robust design that is flush-mount for that sleek, low-profile look and feel. The MX4 is backed by an extended 3-year warranty and is proudly made in the USA.